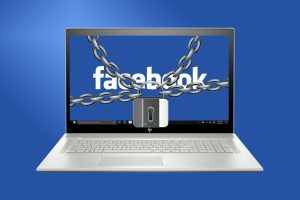 Home » Computer » How can you protect your personal & important data on Facebook? Facebook is an open book, it knows a lot about you and everyone who is on that platform. There is nothing that can be kept hidden from it and that is where comes the twist! In the wake of the recent scandal, there should be a sense of security and privacy as you cannot afford the loss of your valuable data. Being there in so many headlines, Facebook has decided to roll out some security guidelines and policies for the users to try. Some of them are really good and some need to get ameliorated. But! On your personal level, there have to be efforts that should be pondered upon. The blog has been written to guide the users to have a clear idea to be absolutely secure from the threat of losing their data. With this, choosing defencebyte’s data privacy shield software can be the best way to deal with the issue. What all you can do? This is the first line of attack and you should remain attentive to safeguard it from the eyes of the hackers. The biggest trouble out here is that it is used for creating fake accounts. But to evade this situation to happen, FB has added a cool feature known as ‘Profile Picture Guard.’ You can open your account and click on the existing profile picture. When the profile pic gets opened, tap on the choices at the bottom of your pic, there you can choose profile picture guard. This can simply help you in keeping your privacy safeguarded. Well, users need to remain secure from these. Spending time on them to know about your personality is an indirect way to give away everything. These apps play a significant role in snatching a lot of personal information about you. Be aware and do not download them for the sake of getting entertained. 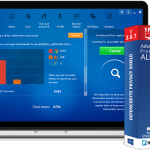 For being absolutely secure from the same, going for privacy shield software can help a lot. For being secure from the same, choosing privacy shield software can help. Yes! It is vital to know who actually your friends are. Getting tagged is one of the most common scenarios. But! There you can get caught by the sight of your friend’s friends. Be sure of who you are trying to be friends with. Make sure you all are up-to-date with the settings available on FB for your help. Press your friends not to join you in their game of tagging. Tell them to notify in advance that you will be going to get tagged. Various websites and apps offer you the choice to log in using the FB account and that too without creating one. This can make things rather easier, but we at times forget to cancel FB access for the third-party apps and websites when we actually stop making use of them. You can go to Settings >> Apps & Websites. Here, you will there get in touch with a list of the active apps and sites that have access to the account. You can there select the apps you want to eliminate from the listing and also delete any post that a specific app or site may have published on your behalf. This is universally known that Facebook helps in connecting to the millions. But! With this advantage, there also comes the fear of losing your important data. Restrict what you share and post. Your data and other personal information are your assets, so do not waste them by opening it to others. So, these were some of the best tips that can be used to avoid any loss of your data. If there comes any point of confusion and worry, choose data privacy shield for your rescue. «Choosing defencebyte Computer Optimizer can help in amplifying system speed !